I fished with Richard and his wife Wanda and when we started out it was cold and we didn’t dress to warm and we didn’t get to far down the river I was worried the bite was going to be a little slow and it was. We didnt do to good on the shiners unless we took the cork off and ran them as far back under the mats as we good we caught 3 in one spot there real quick and then the bite got a little slow and we moved around a little bit there and finally the bite started getting a little better. We caught about 10 fish and we ended up moving into a creek that the fish were moving around a little bit it was a little tough but we did end up catching a few. 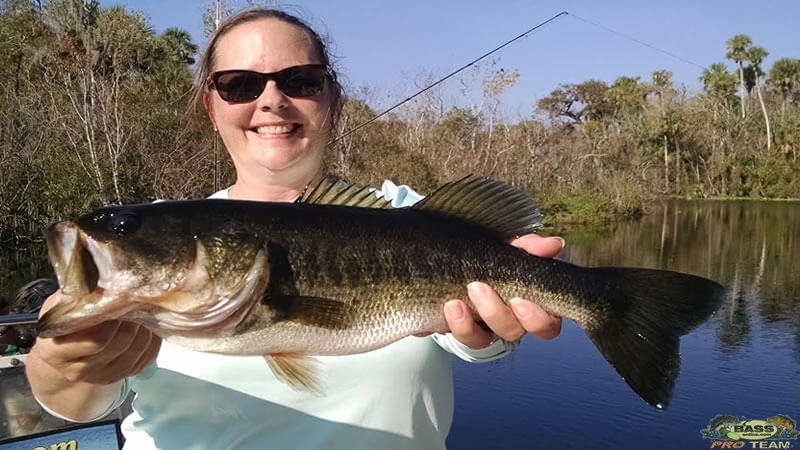 That’s it for now for all your Florida freshwater fishing adventures go to BassOnline, thank you.